While packing for our tokyo trip, one very important thing is preparing winter clothes for our baby. I couldn’t really find much info from Thai websites as bringing young babies abroad during winter was not very popular. (for us we were hesitating as well but we thought if we prepare ourselves well, it’s better than leaving our little girl home – if we didn’t have her our trip wouldn’t be so fun!) So I tried to google from US websites to see how they dress up babies during winter. There are many useful information (thanks to those moms & dads). General advice is to dress 1 layer more than us adults i.e. if you have 3 layers for yourself, your baby should have 4. 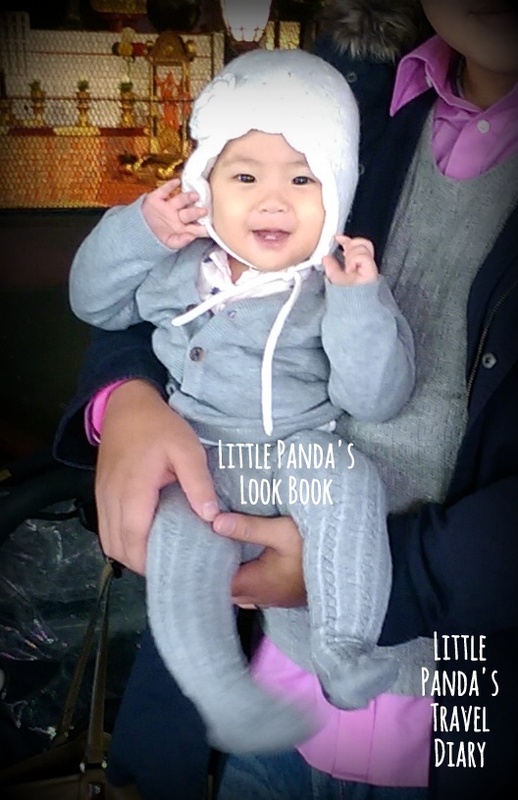 So I’d like to call this #LittlePandasLookBook 😉 my little review of how I dressed up my little girl for the trip. This is our mix & match from the same day. *layer 1: uniqlo heat tech long sleeve white top. What we like about heat tech is that the fabric is light and soft while claiming to help maintaining the warm temperature. *layer 4: uniqlo body warm light hooded jacket – we like this one because it’s also very light weight & soft. Bottom: H&M’s grey tight & H&M’s leg warmers (inside) with thick socks (inside as well). 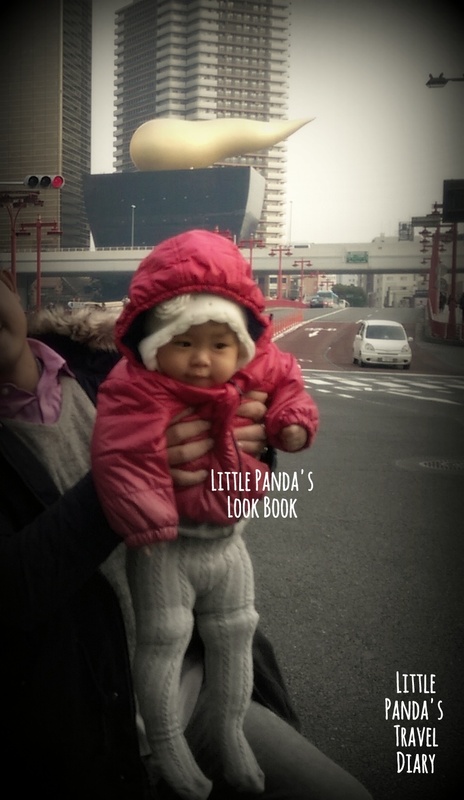 We didn’t put many layers for the bottom as LittlePanda spends most of her time in the stroller with footmuff which is already very warm. Accessories: white H&M hood (our most favorite one with the strings making it very hard for the baby to take it off :p) & pink hood for different looks during the day. Just in case mommy & daddy like to take lots & lots of photos, you might want to have a few quick & easy looks throughout the day 🙂 and yes at the same time keep the baby warm & healthy.